In staying with the summertime theme; we all know summertime usually means hot sunshine days ahead. As I type this blog post it is 100 degrees here today where I live in Colorado. That is a very hot day for this state. I will be staying cool inside with the air conditioning and having a treat. What better time than now to let you know that National Ice Cream day is coming up on July 15th. Naturally our planners need to be ready. This week features that sugary sweet treat that is nice, cold, and fun to eat. Happy Ice Cream Day. 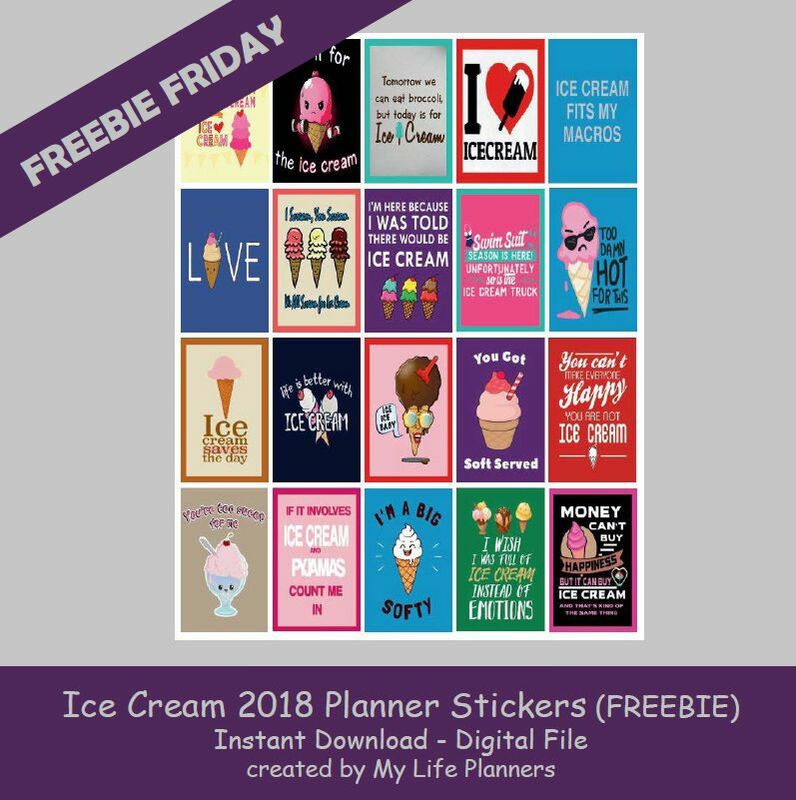 In case you missed Ice Cream Quotes 2017 Planner Stickers you can revisit and download them from here.